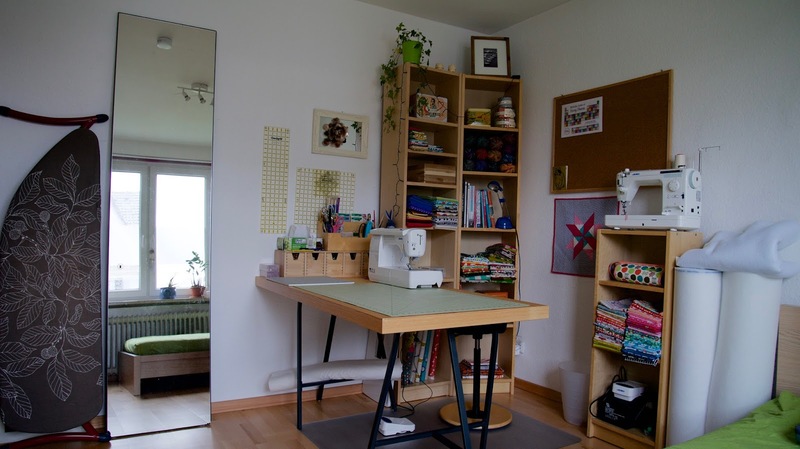 Maybe you remember the sewing room post I wrote last year about my biiig basement sewing room. It has plenty of space but very little sunlight and no heating. 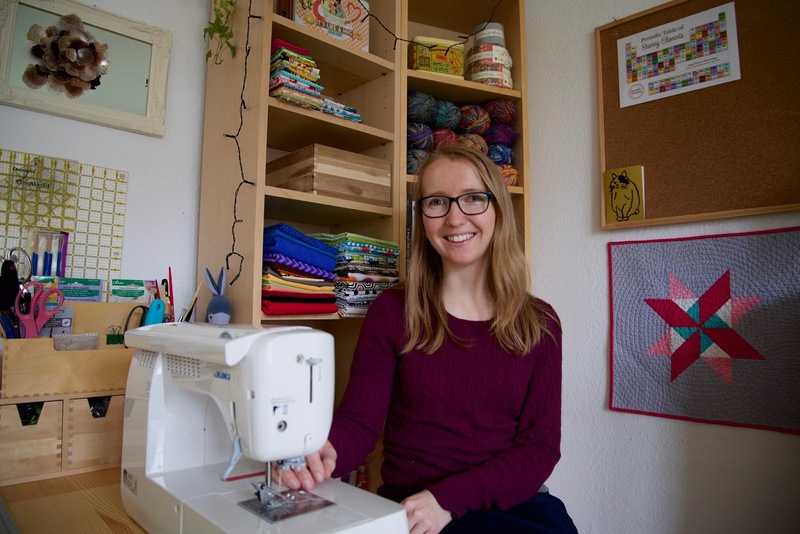 And let me tell you, it is not very comfortable to sew when you’re wearing a winter jacket, fingerless mittens and a scarf. My roomie moved out last week and I’ll have our two-room apartment all to myself until I move to South Carolina in three weeks. 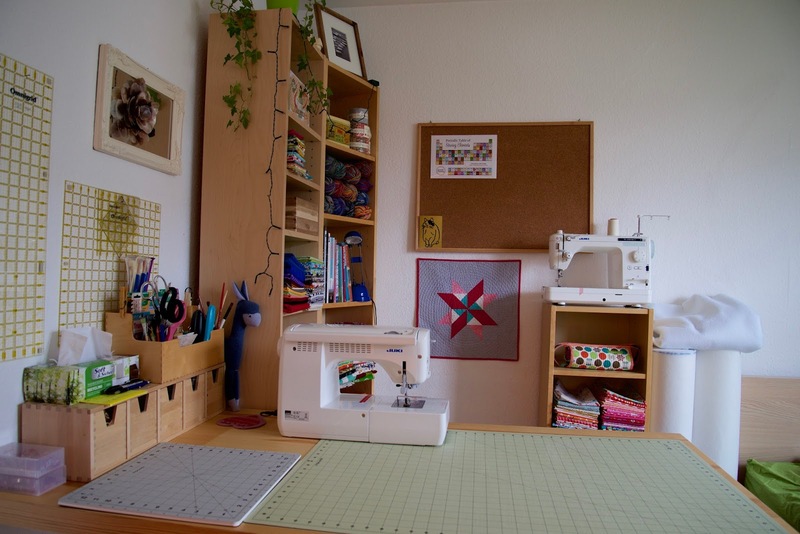 Which means I get to use the spare room as a sewing room / guest room. Luckily, Julia left her furniture when she moved out. 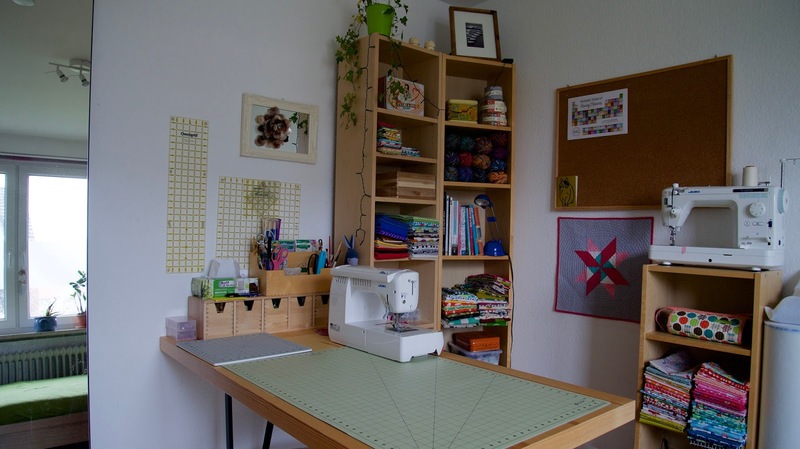 I get to use her shelfs and desk to put my sewing stuff. The space is tiny compared to my basement studio but it is warm and sunny. What a luxury! Also, my cat Lina gets to keep me company while I sew. Prepare for lots of cat + sewing pictures if you follow me on instagram (@froggeddesigns)! 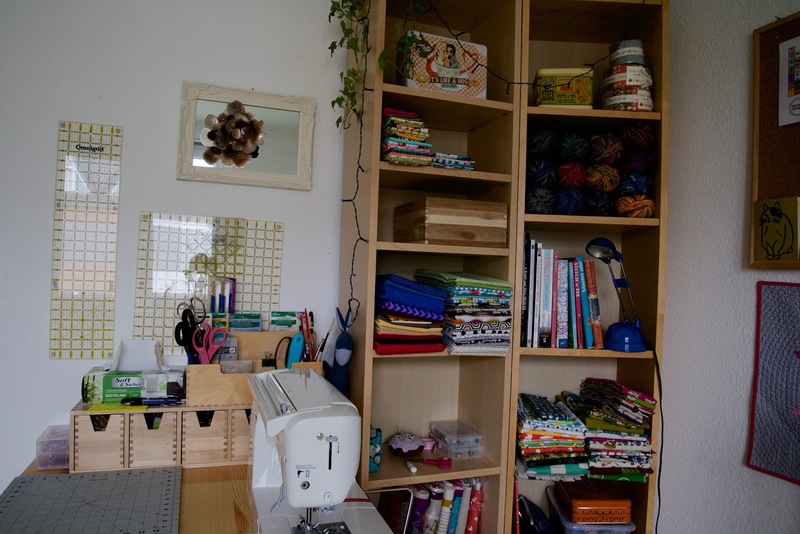 Some of the stuff I don’t use often is still downstairs but 75% of my sewing stuff fits into this small nook. Yay! 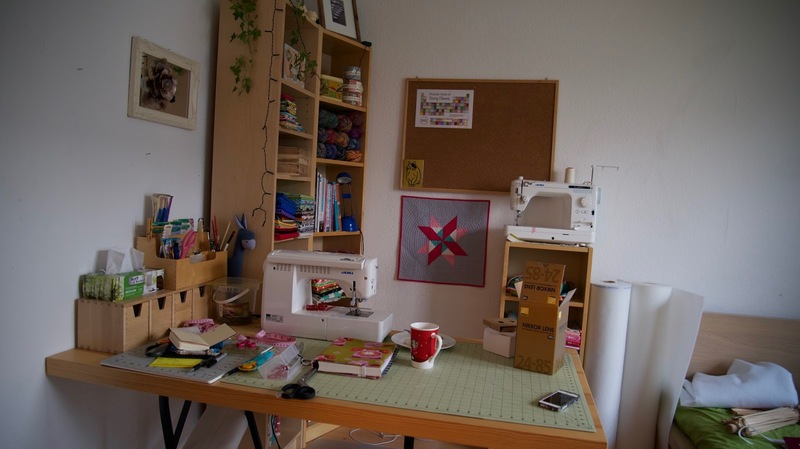 Having a clean, fresh and warm sewing space is so inspiring – I want to sew all the things! I already made some small things that I’ll share in the new year because it is a rainy and gray day – not ideal for taking pictures. And here’s an awkward selfie. Because that’s what hip bloggers do, right? What a wonderful space, I'm rather envious!